Mountain Equipment Co-op store in Edmonton, Alberta. 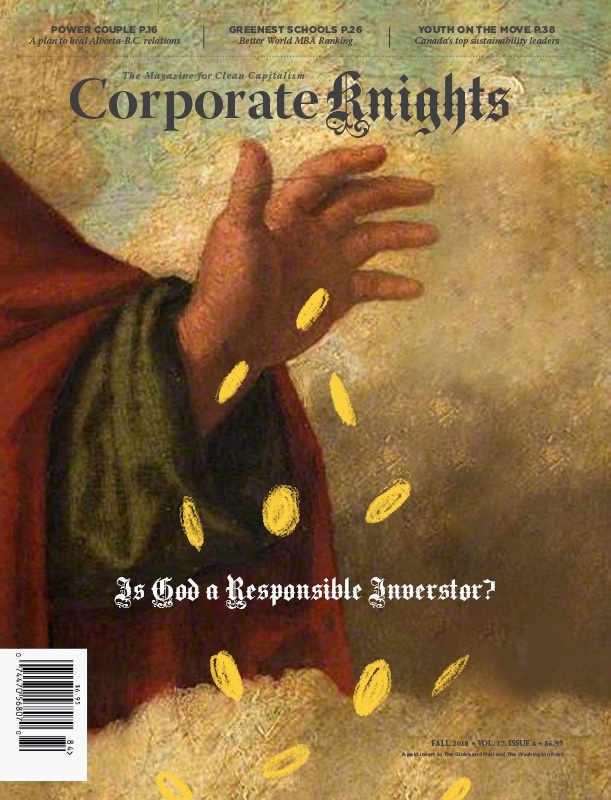 So it’s no surprise to see Vancity and two fellow co-operatives, Mountain Equipment Co-op and The Co-operators Group, constituting the top three companies in the Corporate Knights Best 50 Corporate Citizens in Canada for 2010. Desjardins, another co-operative, placed seventh. Vancity and The Co-operators now have their first female CEOs, Tamara Vrooman and Kathy Bardswick, respectively. Vrooman and Bardswick were in Toronto on October 29 to speak at the Economic Club of Canada on what others can learn from their business models. Co-operatives are owned, operated, and governed by a group of consumers or employees for mutual benefit, a structure that seems to orient a company toward being a better corporate citizen. “The full reason a co-operative exists is for the benefit of its members,” says Vrooman, who is also a member of the Global Alliance for Banking on Values. “You make different decisions than when you’re worried that your capital is migratory and investors can take it out of your organization.” A stable capital base from member contributions means being able to take on a long-term perspective. “If banks lived in the communities [they operated in], they wouldn’t have created subprime mortgages,” Vrooman points out. She also emphasizes that the stronger relationship her employees have with customers—since both groups are members of Vancity—helps in turn to make the company stronger. “[Our innovations] don’t come from the C-suite, they come from our frontline staff being face-to-face with our members,” says Vrooman. The first woman Vancity lent to without a male cosigner was a nurse and well-known to staff, so they made the exception that became the rule. “In that way we’ve been able to lend to markets that other financial institutions have written off as risky,” such as new immigrants, with relatively low numbers of defaults, says Vrooman. Bardswick says some insurers leave the communities they insure if they cannot find a solution for dealing with extreme weather conditions. Since The Co-operators’ mandate is to provide financial security to Canadians, it stays in communities and instead looks at adaptation strategies. Bardswick is the chair of the Institute for Catastrophic Loss Reduction and has overseen the rebuilding of several heavily damaged homes to higher building standards. She sees The Co-operators as having a pivotal role in changing building codes to include these higher standards for everyone’s benefit. Co-operatives also follow the “one member, one vote” principle, meaning each member has equal voting rights. This creates some interesting outcomes at the ballot box during director elections. “When you have an open and democratic process, [the directors elected] are more diverse,” says Vrooman. Vancity’s board currently has more female than male members, and has had visible minority members in the past. Vrooman sees age as the next bastion of board diversity. To that end, Vancity is implementing online voting for its annual general meetings. Plus, the barriers to entry are low: a director candidate only needs to be 18 years old and own a $5 membership share. Both CEOs agree co-operatives need to do a better job of “amplifying” the message of their benefits and advantages. “It’s one of our best kept secrets,” says Bardswick. She points out a credit union, Sherwood Credit Union, was the first institution to install the first full-service ATM in Canada, adding that co-ops tend to innovate because they have to. “We came about because of unserved needs, and we continue to be driven by needs of our communities,” she says. And in the case of insurance, co-operatives make up 26 per cent of the worldwide insurance market, a share that has been growing at a clip of one per cent per year the past several years. For co-operatives, the almighty member comes before the almighty dollar—but the dollar seems to follow close behind.